Have Scientists Found a Stem Cell-lution to Thyroid Disorders? Have you thanked your thyroid today? If not, you should because your thyroid is essential for many of life’s daily activities and processes that you probably take for granted. You can thank your thyroid for things like regulating your body temperature and appetite, and keeping you energetic, slim, and focused. That’s because these small glands in your neck are hormone-producing factories, and thyroid secreted hormones (TSH) control the growth and development of our organs and tissues and regulate important processes like your metabolism. People who have thyroid disorders suffer from a number of uncomfortable or even nasty symptoms. Those with overactive thyroid glands (hyperthyroidism) produce too much thyroid hormone and have an overactive metabolism, which causes symptoms such as excessive sweating, weight loss, heart problems, and sensitivity to heat. Those with underactive thyroids (hypothyroidism) don’t produce enough hormone and have an impaired metabolism, which causes symptoms of tiredness, reduced heart rate, hair loss, feeling cold, and weight gain. There are other types of thyroid problems (cancer and inflammation to name a few), but the bottom line is that, if your thyroid isn’t functioning properly, your quality of life will be negatively affected. However, there maybe a new “stem cell-lution” therapy for some forms of thyroid dysfunction. Scientists from the Boston University School of Medicine and the Beth Israel Deaconess Medical Center reported in Cell Stem Cell on Thursday that they can generate functional thyroid tissue from stem cells derived from different mammalian models. This is a huge deal because previously, scientists were unable to manipulate pluripotent stem cells into mature thyroid cells that had the correct thyroid identity (meaning they turned on the correct combination of thyroid-specific genes). This previous inability has made it very difficult for scientists to model thyroid diseases in a dish. In this study, the authors used two factors, BMP and FGF, to directly differentiate mouse pluripotent stem cells into thyroid progenitor cells. These progenitors could be coaxed further into mature and properly functioning thyroid organoids (3D thyroid-like structures) that secreted thyroid hormone both in a dish and when transplanted back into mice. 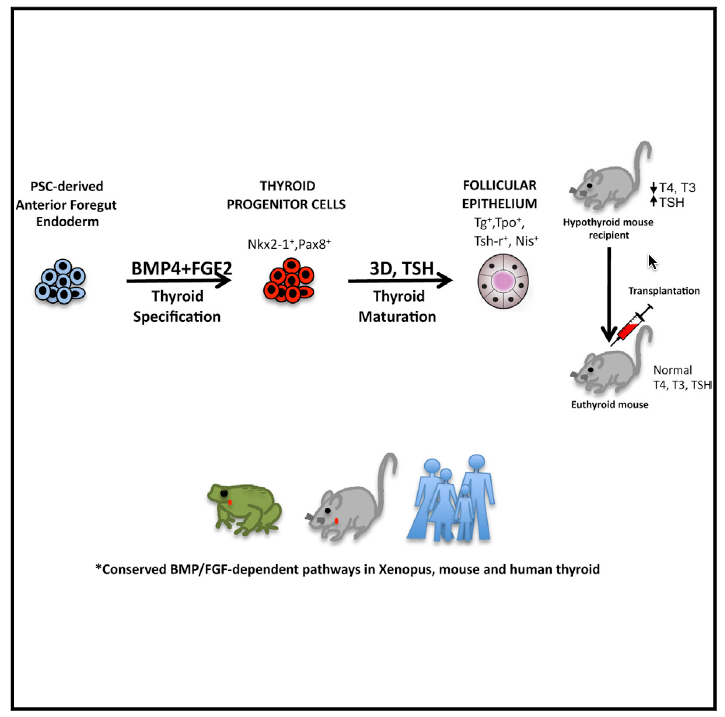 What was truly exciting about their discovery, was that the same two factors could make functional thyroid tissue from mouse, frog, and human pluripotent stem cells, showing that the role of BMP4 and FGF2 in thyroid development is conserved across multiple species. With the bases loaded, the authors hit a grand slam by using BMP4 and FGF2 to generate thyroid progenitor cells from human embryonic stem cells (ESCs) and induced pluripotent stem cells (iPSCs) derived from the skin cells of both healthy individuals and patients with hypothyroidism. This study not only offers a new understanding of the early stages of thyroid development, but provides a potential source of transplantable stem-cell derived thyroid progenitor cells for cell-based therapies that could treat some forms of hypothyroidism. This research represents an important step toward the goal of being able to better treat thyroid diseases and being able to permanently rescue thyroid function through the transplantation of a patient’s own engineered pluripotent stem cells. While this discovery is a major step forward in the field of thyroid disease and regenerative medicine, the victory is bittersweet in light of the recent passing of the study’s first author, Anita Kurmann. Anita was a Swiss surgeon and a talented scientist who was tragically killed while riding her bike in Boston’s Back Bay on August 7th, 2015. She had just heard that her publication would be accepted to Cell Stem Cell days before the accident and was planning to start her own lab at the end of the year in Switzerland. Her colleagues, friends, and the science world will miss her dearly. As a tribute to Anita, her co-authors dedicated the Cell Stem Cell publication to her memory. We dedicate this work to the memory of our co-first author, Dr. Anita Kurmann, who died in a tragic bicycle accident when this manuscript was in the final stages of formatting. She was intelligent, well read, kind, humble, and tirelessly committed to her patients, her thyroid research, her family, and her colleagues, who miss her dearly. My son was born and diagnosed with hypothyroidism this research would be great if it reached completion so he didn’t have to take tablets for the rest of his life. He’s 4weeks old and is taking crushed tablets via a syringe. Thank you for your dedication to thyroid therapies. My sister suffered with thyroid disease for many years after being diagnosed with medgullary thyroid cancer . 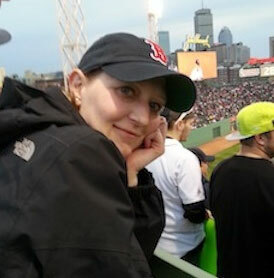 Her thyroid was removed and she received radiation therapy 15 years afterward she was diagnosed with Anaplastic thyroid cancer and died 5 months later in October 2012. I have thyroid disease also mine was removed. Most people don’t understand this disease I am happy to hear someone is working on furthering treatments for people like me. I am sorry for the loss of Dr. Kurmann I will be forever grateful for her dedication. Tragically, most of my RT thyroid lobe was needlessly removed for what turned out to be a cold nodule. The years of torture from iatrogenic thyroid ‘replacement’ therapy has led to HPA axis & cortisol dysregulation (causing a whole host of negative cascading effects on my body’s processing) and a ‘reset’ of when my body would normally convert T4->T3. My quality of life has suffered tremendously, the opportunity costs are immeasurable (love, children, career). Cost to not just buy thyroid Rx, but also drugs & supplements to counteract it’s horrific pervasive effects are also incurred. Is there a way to speed-up the tissue regeneration that has been occurring from the remnants of my RT lobe so it can be completely regenerated & I can regain full gland functionality, stop the disastrously harmful thyroid ‘replacement’ therapy and get my life back? I had always been an active person with a fast metabolism. 12 years ago I burned up a great deal of muscle mass, went from a size 8 to size 4 (not in a good way), discovered I was hyperthyroid, with multi-nodular toxic goiters. I only had access to 1 endocrinologist who gave me an extra strong dose of Iodine radiation. This left me with no thyroid. I have suffered all of the unwanted symptoms of replacement Rx tx since, and would do anything to get my life back. If I can enlist in any STEM CELL trials for experimentation please contact me. I appreciate the conscientious efforts that Dr. Kurmann devoted to STEM CELL advances and mourn her loss. Thank you. 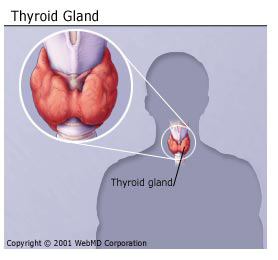 My thyroid disappearred 20 years after being diagnosed with hoshimoto. I’m at end stage thyroiditis and my mother also has hoshimoto plus my daughter suffered thyroid cancer and has no thyroid. All 3 of us are on synthroid tablets. We would like to get our thyroids back and functioning. I am saddened at the loss of your colleague Dr Kurmann, and hope her work will help us all with our thyroid disease.